Washington Elementary students will usher in their 2017-18 school year in a completely renovated building geared toward helping them get the most out of their education. Improve indoor air quality and maximum comfort for students and staff at Washington Elementary. 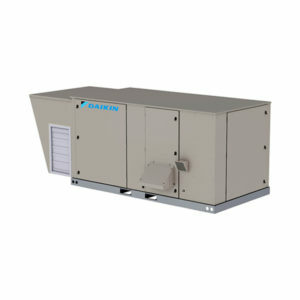 Replace of existing roof top units with Daikin Applied Rebel® units for maximum efficiency and improved building climate. OWATONNA, Minn. – September 1, 2017 — Washington Elementary students will usher in their 2017-18 school year in a completely renovated building geared toward helping them get the most out of their education. The Washington, formerly McKinley, elementary project is one of four district buildings the Owatonna’s school system is currently renovating to elevate student access to new learning technologies for more advanced classroom experiences with the help of other local Southern Minnesota businesses. Schwab Vollhaber Lubratt collaborated on the school renovation to provide an improved indoor air climate. Daikin Applied, CDI, and Schwab Vollhaber Lubratt were among the local teams who came together to design and deliver a new heating, ventilation, and air conditioning (HVAC) system to serve the students and staff higher indoor air quality and maximum comfort. According to the EPA1, a school’s indoor environment can have a significant impact on health and learning. In documented studies, an EPA report shows increased classroom ventilation rates are associated with improvements in student health and performance, including speed of academic performance and increase in standardized test results.